In PART ONE of our adventure, I looked at a fairly genetic test shot of some objects of various colours. My conclusion was “both are good in their own way” (well not in those words perhaps, but pretty much). 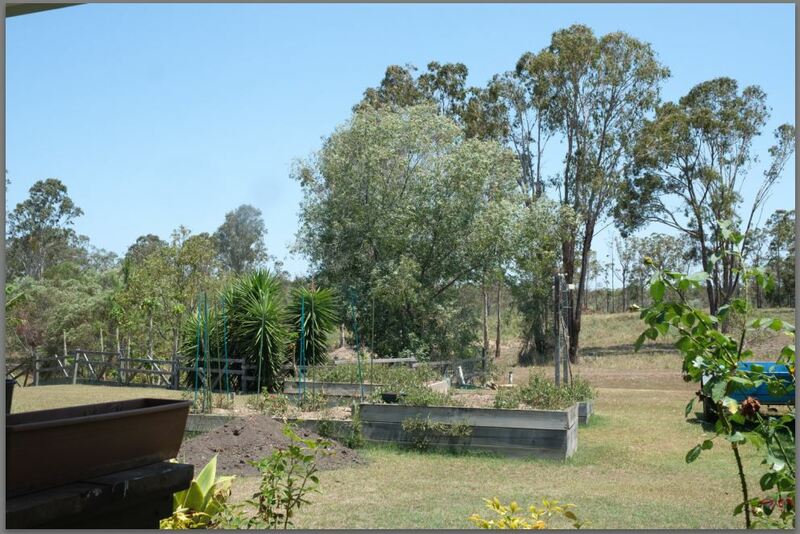 However, one area I’ve had trouble with in the past with Fuji files and Lightroom is landscape style shots. Things like trees, grass and even cityscapes just don’t have those fine details as easily as with a bayer sensor. 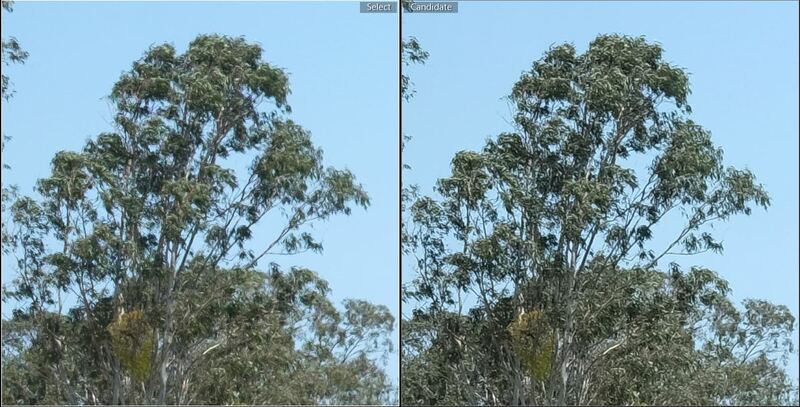 So I decided in part II of LR vs C1, I would make it about trees and all that stuff. So let’s get on with it already! This amazingly super artistic test shot (ok I’ll admit, it’s just taken out of my window). Is what I’ll be basing this test on. 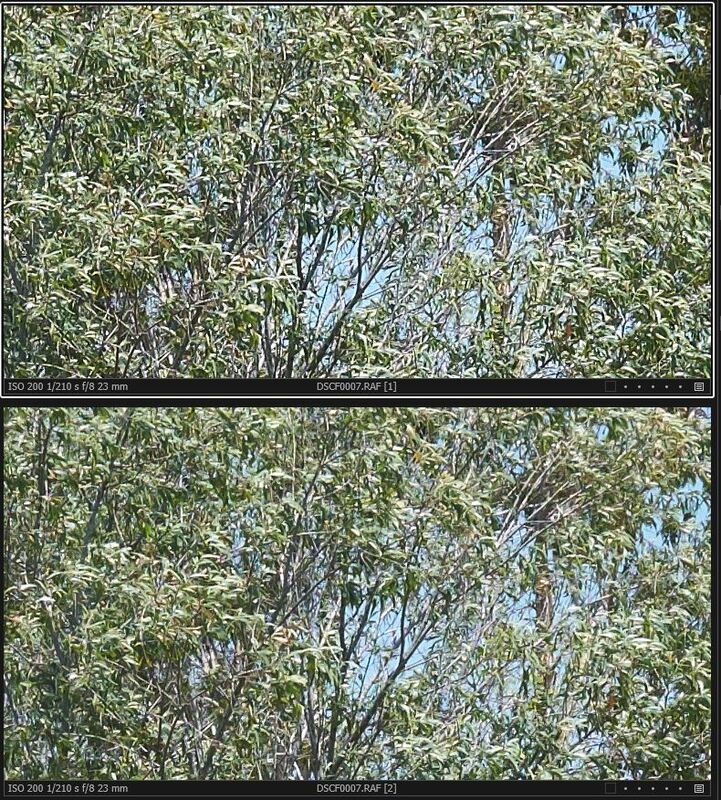 I will be comparing different sharpening techniques and settings to see which RAW converter is best. I’ll be using a SOOC jpeg as my base/control. In reality, if a RAW processor can do as good or better than the Fuji jpegs, then it’s a winner. In part one we found that both C1 (with custom profiles) and LR (with built in profiles) can match Fuji COLOURS almost perfectly (or so close it hardly matters). However, how about sharpness/details in a landscape style shot? For all the test shots a “Provia” profile is used. In Capture One’s case it’s the “generic” profile, which I found previously is a very good match for the Provia Jpegs from Fuji. With standard settings, Capture one seems to have a different philosophy to the jpegs. C1 seems to be less sharp and a little more muted. There’s less dramatic highlights too. Basically it seems C1 gives you a good start to work on. 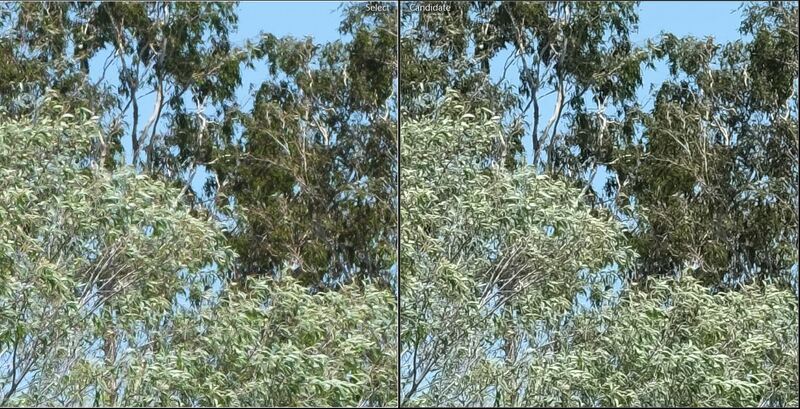 I’d actually say C1 is a lot more natural looking than the jpeg. 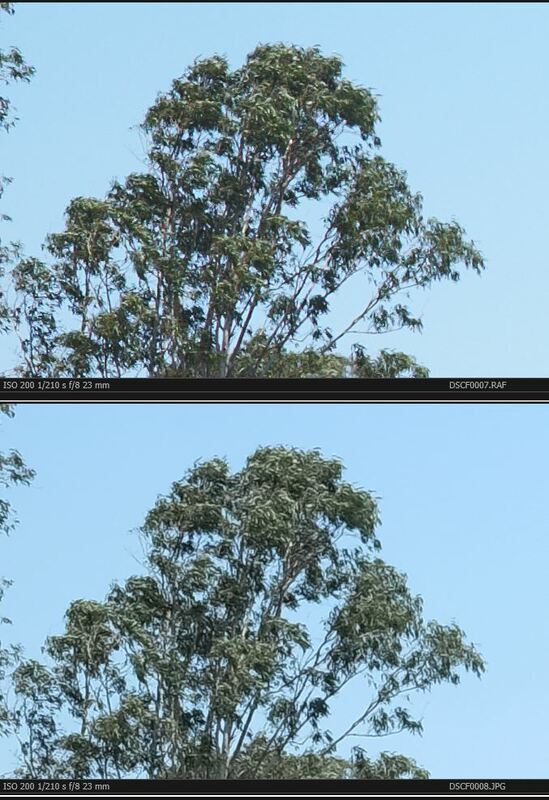 Standard LR settings (right), Fuji Jpeg (left) – Provia profile selected on both. 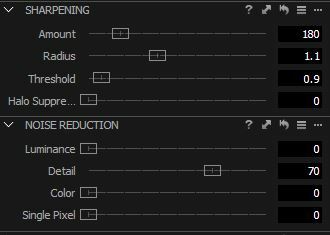 Adobe’s approach (with standard settings) seems a tad closer to Fuji’s idea of sharpening. LR seems a bit more dramatic than C1 and actually I feel it looks more “busy”. I actually prefer C1 for default settings vs jpeg. Winner (default settings): Capture One. If you’re just going to import your image and not do anything to improve it, then Capture One is the way to go. I feel BOTH Lightroom and C1 beat the jpeg even with standard settings on, this is because I feel the fuji jpeg makes the foilage look too dramatic and unnatural. YMMV however as this is subjective. Capture One wins overall because it looks more NATURAL. This is important because… well… it’s nature. In this section C1 and LR will vs Fuji Jpegs, but instead this time, I will put on setting I feel are good for this shot. 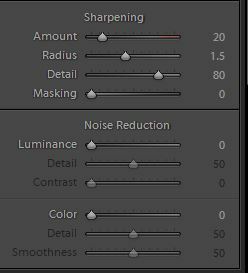 MAYBE you could do better than me, but I have either been recommended these settings (capture one) or they’re my standard import settings that I feel work really well (Lightroom). I also fiddled with them a bit to see if I could improve them at all. 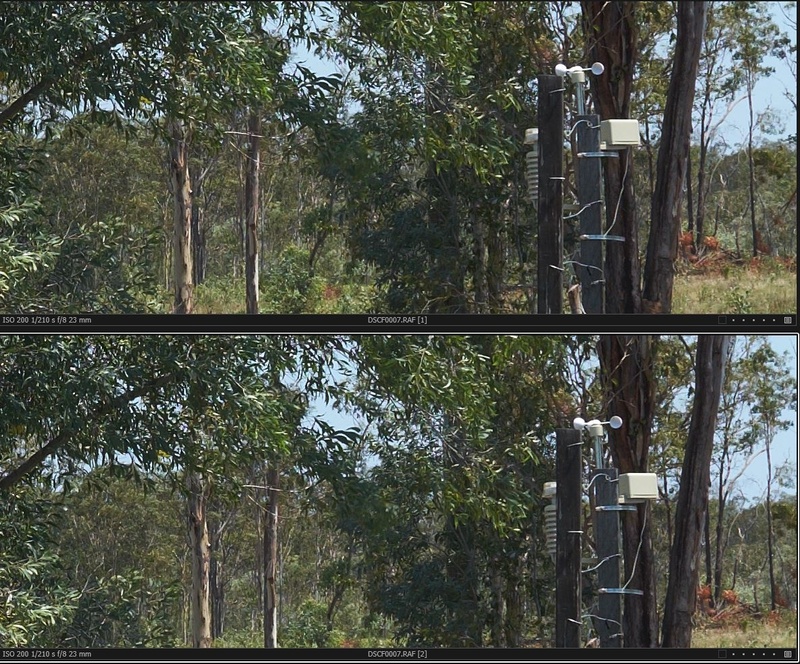 I think the “ideal” or “recommended” C1 settings are better than the Jpeg with a more natural look. Here I feel Adobe have adopted a look that is closer to Fuji jpegs, though I do feel (again) that RAW can let you pull a little more out of the shot than the Fuji Jpegs do. 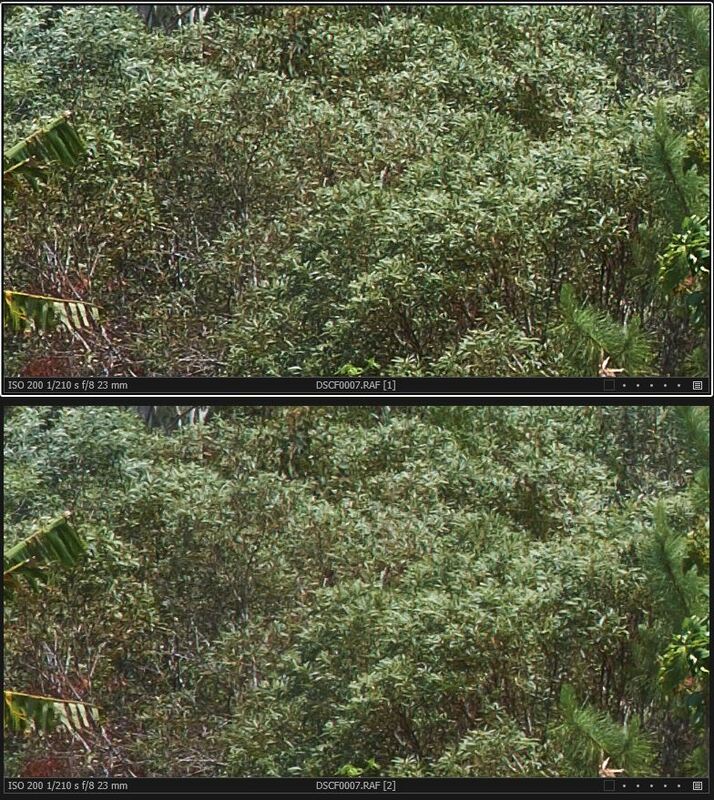 I won’t declare a winner overall yet, firstly I want to directly compare Lightroom to Capture One. It’s closer than I thought it would be to be honest. I think perhaps Capture one has slightly more detai and better contrast, but I feel Lightroom has more realistic colours in certain areas. I think the difference between both is fixable with tweaking. With Capture One’s extra details I think I might see a little more noise coming in, but it’s nothing much to worry about. 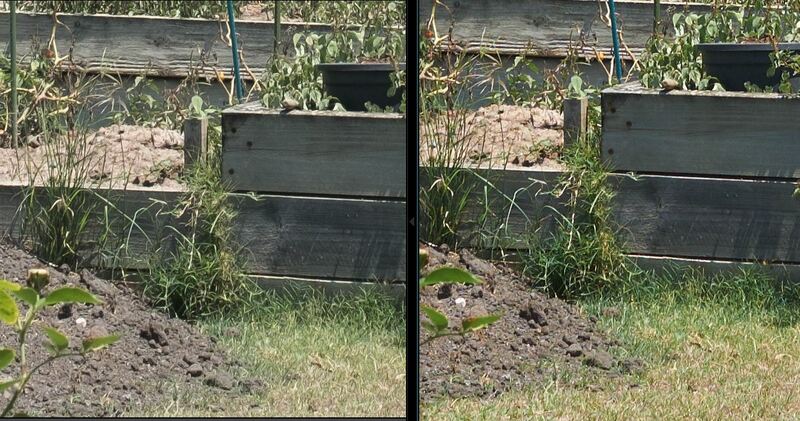 One fault with Lightroom is it does tend to get weird artifacts that Capture One doesn’t seem to display. (ignore that last part, I was accidentally looking at a Fuji Jpeg). Lr (right), C1 (left). 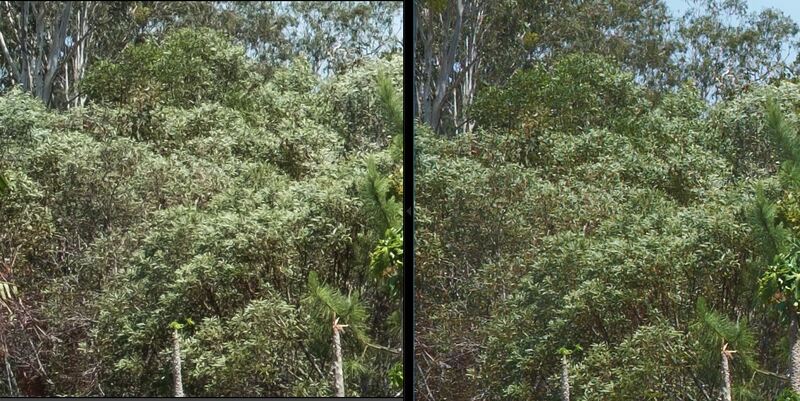 In this example Lr has no special tone curves added. 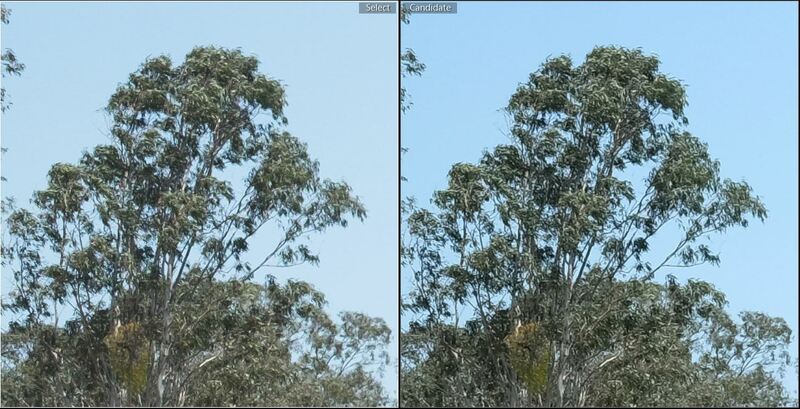 Notice here how the lightroom example (left) seems a lot less contrasty. This is pretty easily fixed by adding “strong contrast” in the “tone curve” section of the develop module. That gets them slightly closer if you want the C1 strong contrast look. Of course Capture One can adjust all of this too. 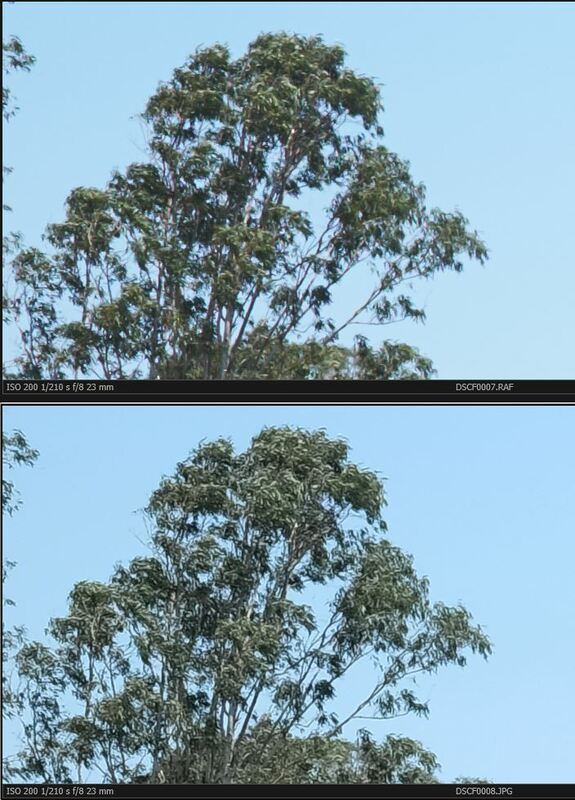 In Capture One, under the “exposure” module by default, in the “Clarity” section, there’s a “Structure” slide. This can change the look of the sharpening quite a bit and it’s something to consider when sharpening. Personally I find the look a bit harsh, but you can try it out if you like. Is that better? Does it push C1 over in terms of detail/sharpness. I guess so for some images. 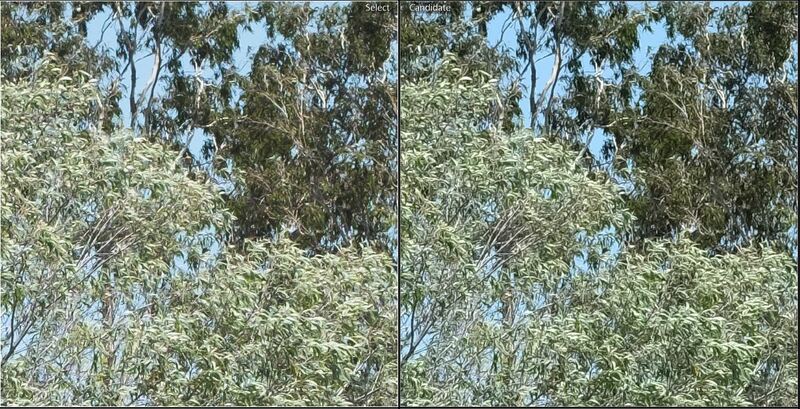 However, as I said above, in some places it can make the images look fake and over processed. 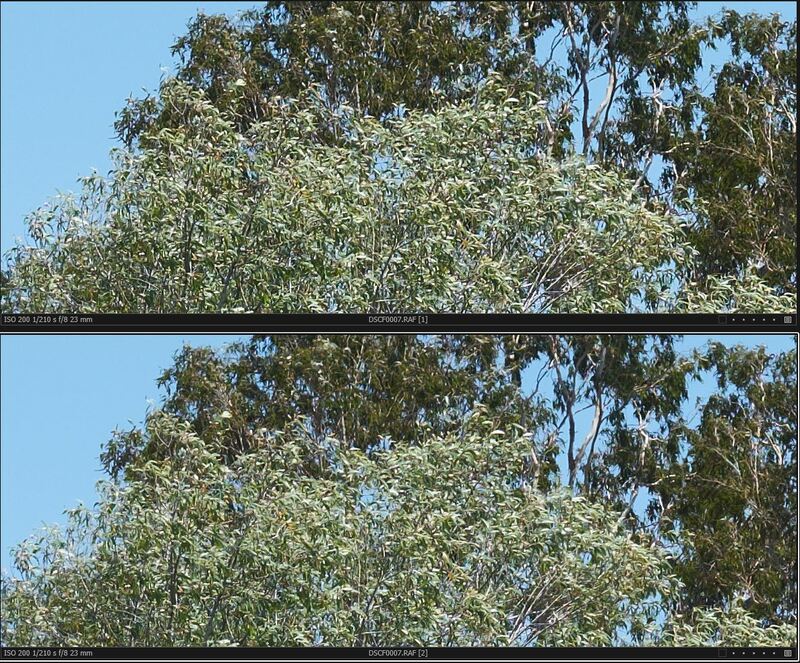 It’s similar to the “clarity” slider in Lightroom, which can easily push an image to far. Looks like SLIGHTLY more contrast is in there. Maybe a little more detail? Certainly doesn’t look worse. I was actually kind of surprised Lightroom did so well. I haven’t had the best of luck with landscapes/X-trans/Lightroom and I thought perhaps it was lightrooms fault. Maybe my new “ideal” settings are just better than I was using before. 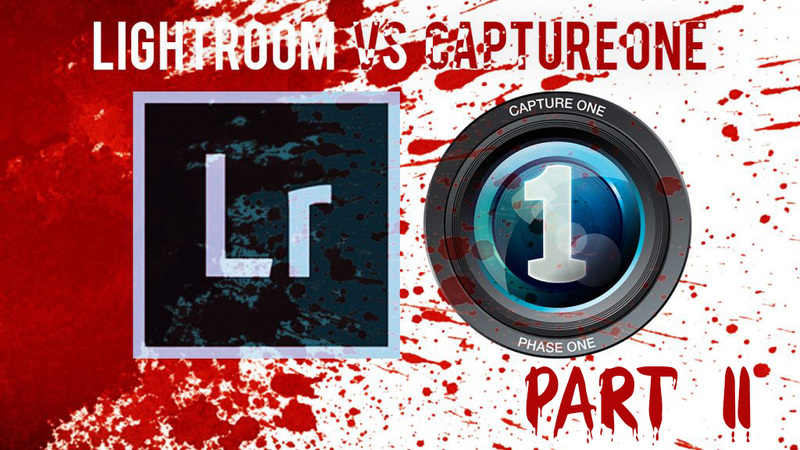 Perhaps I have a lot to learn about Capture One. However, I feel BOTH Lightroom and Capture One do a great job. Perhaps Lightroom’s colour is slightly more natural and perhaps Capture One has given us a little more details and better contrast by default, but honestly they are so close it’s hard to tell. IF I HAD TO PICK A WINNER: Capture One. One thing I really like about Capture One is how many little things you can do with it. 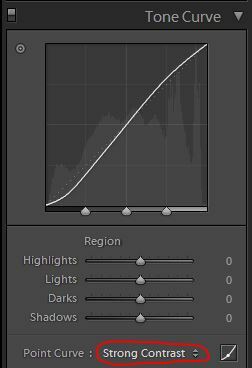 It’s a more complex program than Lightroom, making it a pixel peeper’s dream. I suspect you could squeeze a bit more detail out of a shot with C1 with practice. LR just lacks the fine controls that C1 gives you. All they have to do is support compressed RAW files and they MAY have a convert. P.S. 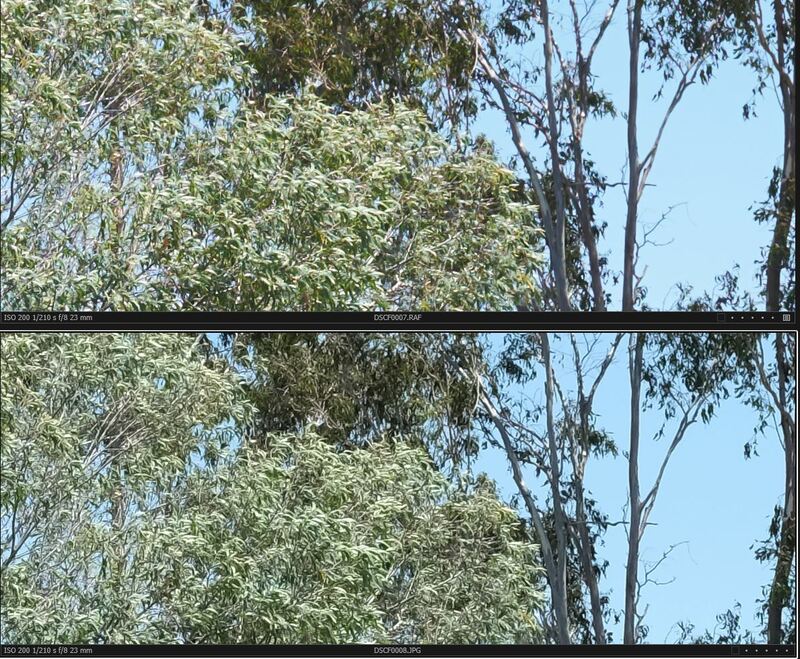 I have been thinking (after reading someone’s comment about pixel peeping not being the best way to judge sharpness). Both can export to Photoshop (assuming you own/rent Photoshop) if you need more fine work done on them. So Phase One are working on compressed file support. If they nail that down they may well have a convert. I know I have too many compressed files on hand to switch now, so I’ll wait. I’ve also messaged them personally asking them when they’ll support compressed RAW files. Hopefully soon. According to the screenshots it looks like you draw the conclusions about the quality of conversions based on the preview of the image. While I could not find any confirmation, to me it looks like what you see in the C1 preview pane while working with the file is still an approximation. The end result looks noticeably better. I don’t know if it’s because of X-Trans or not but I would suggest to evaluate the processed JPG using a good image viewer (I personally prefer FastStone). Pushing Structure to 16 will more than likely result in the overcooked look in most situations but nothing prevents us from staying within the 0-7 range to get a meaningful boost in details if required, right? Thanks for the comments MH, they’re appreciated. Did what you said (exported the jpeg etc.) and didn’t see a huge difference, in fact in some ways it looked worse (some artifacts came in). Structure up to 7 hardly made a noticeable difference, but I guess it improves it slightly, not really worth worrying about in real life. Anyway, I don’t think that’s necessarily a bad thing. Capture One IS convoluted (extremely complex and difficult to follow) I’m hardly a beginner and I’ve found it much more convoluted than Lightroom. Is that bad? Not really. Depends on if you want to fiddle with dials and fine controls and such. 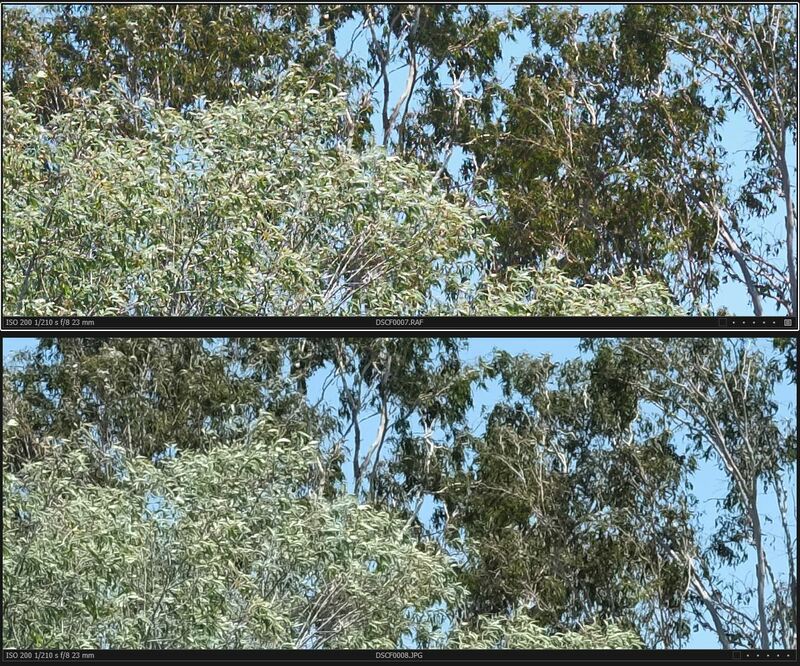 LOL yeh well it’s a pixel peeper’s dream because you can manipulate the pixels so much. Again, not a bad thing. You are very welcome. I have absolutely no affiliation with Phase One (and never had), and I participate in online discussions extremely rarely. The only reason for me braking this habit is that in your assessment of C1 I recognized many of the same misconceptions, which I had when I was learning the tool (including the “why does it have to be so convoluted” one), so I decided to share a few bits to make the learning curve less steep. Therefore my comments were not so much about the tool so as about the usage thereof. And BTW, it’s not convoluted 🙂 Not only it’s all relative as you pointed out in your comment, but also many things make much more sense when you begin seeing them in perspective and in relation to workflow. Plus the UI is very customizable. After some time I tweaked the workspace according to my workflow and it is very streamlined for my needs now. And that’s a big benefit, what works for me would not necessarily work for someone else and the other way around. Why force it then? To sum it up I just reiterate that in most situations the best tool is the one that you know how to use best. That said, I had a little look at setting the structure to 8 and it is a tiny bit better. So I’ll add something about that to the article.